With many college students and recent graduates already or soon partaking in summer internship season, several class-action lawsuits occurring over the past year against major companies are bringing to question the morality, legality and future existence of unpaid internships. In the United States, there are nearly 1.5 million internships offered each year with approximately half of those being unpaid. In the midst of recession and a difficult job market, many companies are asking and requiring their interns to spend long hours doing work that should be tasked to entry-level employees and often with no financial compensation. Such was the impetus for three major lawsuits filed this past year- beginning with one in September 2011 against Fox Searchlight Pictures, another in February 2012 against the Hearst Corporation (owner of the magazine Harper’s Bazaar), and one the following month against the “Charlie Rose” show. In each case, former unpaid interns purported that the hiring companies had required them to work excessively long hours with no compensation, violating federal and state wage and labor laws. While these sued companies have denied wrongdoing and the cases have yet to be resolved, such lawsuits are sending a warning signal to both employers who plan on hiring interns and to students considering taking unpaid internships about exactly what will be expected of them and whether such expectations are legitimate or not. The New-York-City-based law firm Outten & Golden is behind all three of the class-action suits filed so far and have created a website providing information on the cases and calling on former and current unpaid interns to come to their firm with any information and complaints. Such legal actions are bringing to question the future of the unpaid internship, a rite of passage that has become prominent for both students in college looking to gain experience and postgraduates hoping to get a foot in the door toward a future career. 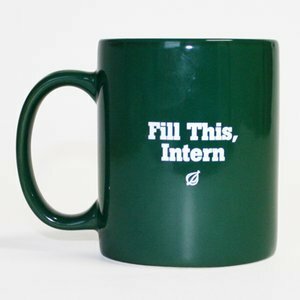 Although unpaid internships have risen to become extremely desirable and competitive in past decades, these lawsuits show that this norm may be shifting. Despite such increased public attention on the poor treatment of unpaid interns, companies will still likely continue to offer unpaid internships. However, with companies in fear of having to deal with such potentially time-consuming and reputation-tarnishing lawsuits, paid and unpaid internship programs are seeing and hopefully will continue to see restructuring, returning the internship to the valuable educational experience that it is intended to be.